Securing your hard earned investments is critical, especially if they are the tools that sustain your livelihood. 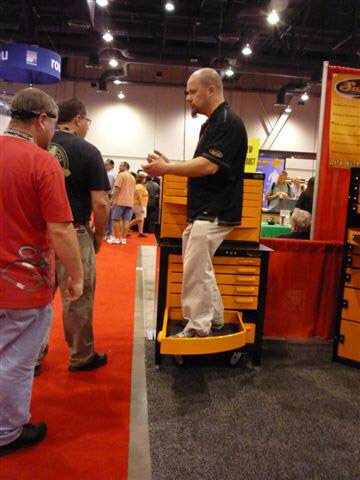 Jobsite toolboxes offer a great solution to protecting the tools of your trade. Sometimes referred to as the JoBox, a jobsite toolbox are tamperproof and aid in keeping the elements out. 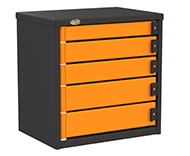 Our steel tool box selection has a special tamperproof armored locking system for protection against break-ins. They also come with reinforced support skids for increased protection and easy transporting. Convenient swing out handles provide for additional mobility. A special locking lid support locks the lid to prevent accidental closings. 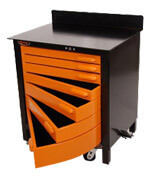 Available options include casters and removable steel trays to assist with tool management. Padlocks are not included but we recommend a No. 5 padlock. 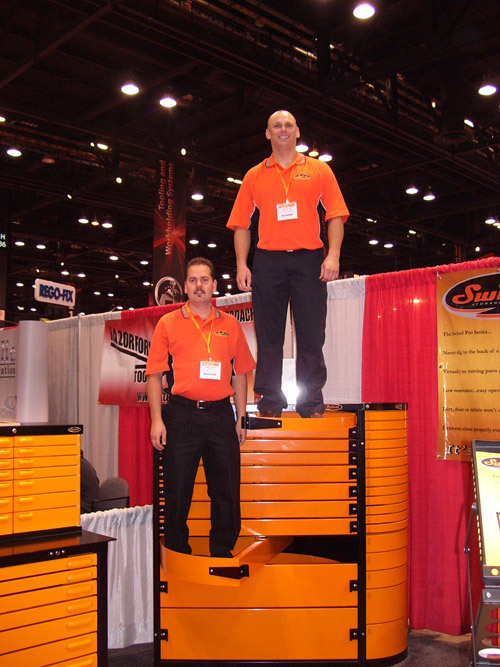 Protect your investment with these quality jobsite tool boxes. 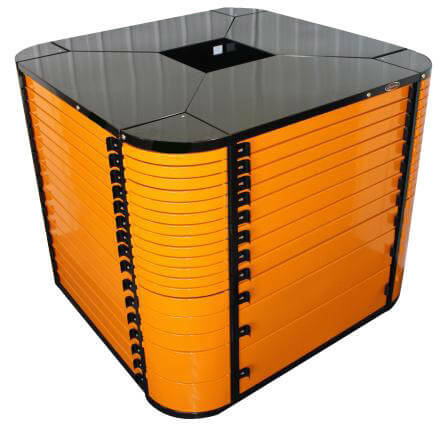 Heavy-duty solid steel construction keeps your valuables secure from theft and shielded from the elements. (LxWxH) DESCRIPTION SHIP WT. NET WT. 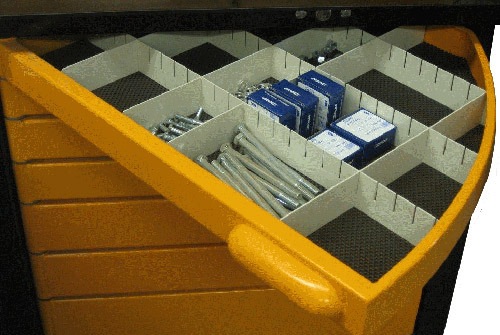 Are you tired of having your old tool box drawer tracks fall apart on you and you end up losing tool behind the box? Our new line of tool boxes have a 1" shaft running down the front side of the tool boxes, allowing the drawers to come out on a swivel. These are so strong, we had one of out 200+ lbs servicemen stand right in the drawer and the shelf did not even budge. 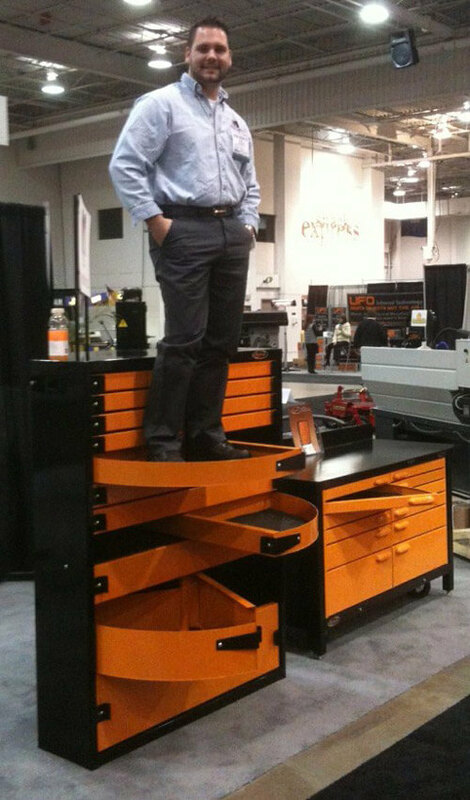 Made out of 12 and 14 gauge steel, you will never have to worry about a drawer falling out on you. Dimensions: 30.25” w, 24.5” d, 45.25” h, weight: 404 lbs.